We are coming up on one of those times in the year when people go looking for churches. The school year is starting, so parents might be thinking about the well-being of their children. Or people might have moved. Or they meant to look all summer long and just never got around to it. Whatever the reason, your church is more likely to have guests over the next few weeks. 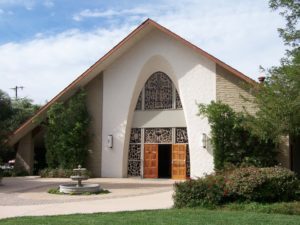 Part of a church’s readiness for guests stems from obvious things like signage and hospitality programs. Some of it comes from having greeters or other leaders who are attuned to providing for guests. Tidying up the exterior and interior is never a bad idea. You can look at Invite Welcome Connect (or read the book) for ideas and resources. There’s another important part of welcoming guests: our spirit. If our goal when a guest arrives is to persuade them to join our church, we are setting aside Christian hospitality in favor of being salespeople. Our task, when a guest shows up, is not to think of them as prospective members. Our task is to bless our guests. Jesus thought that hospitality for its own sake is pretty important. Welcoming strangers is right at the top of his priority list, and offering welcome figures prominently throughout the scriptures. When a guest arrives, our delight is to welcome them. Sure, if they are called to join our church, that is wonderful. But maybe they’re called elsewhere. In that case, we can be a blessing on their journey. Are you ready to think of your church as a blessing? What does it mean to focus on hospitality as an end, not a means? How might you offer Christ’s blessing to everyone who passes through your doors? A book of prayer and practice – with disciplines, habits, and patterns for building a Christian spiritual life. It will help you to develop strong habits of prayer, to prepare for and participate in public liturgy thoughtfully, and to nurture a mind and soul ready to work and give and pray for the spread of the kingdom. Saint Augustine’s Prayer Book features “Holy Habits of Prayer,” devotions to accompany Holy Eucharist, Stations of the Cross, and Stations of the Resurrection, and a wide range of litanies, collects, and prayers for all occasions. The newly revised edition includes the treasured liturgies and prayers of the original while offering some important updates in language and content. 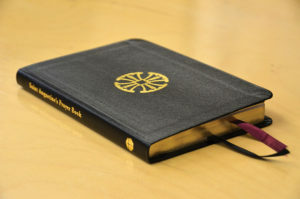 Revised and edited by well-regarded scholars David Cobb and Derek Olsen, the Saint Augustine’s Prayer Book is a wonderful gift as well as a handsome addition to your own prayer book collection. Comes leather-bound (black) with two ribbons in a gift box.